Overall champion, Amica de Jager, from Cape St Francis crosses the line in a fast 57:42 to lead the Open Water World Tour rankings. Defending Men’s champion, Gary Albertyn from Pretoria, was just 6 seconds behind in a time which was 1/100 of a second faster than his 3rd placing time of 2015 when the event enjoyed near perfect conditions. The sold out field of participants for the 10th Jendamark Bellbouy Challenge were welcomed to Pollok Beach this Saturday morning to the best swimming conditions the Challenge has ever produced. Nelson Mandela Bay, first stop on the international swimming Open Water World Tour (OWWT), showed off with Mediterranean like conditions for the duration of the 5km swim and even threw in a sprinkling of Bottlenose dolphins to add the cherry on the top to a diverse field of swimmers which included 22% from outside of the Bay. Locally crafted bead and wire replicas of the Bellbuoy went to age group winners Andrew Turner & Tanya Osborne (40-49 yrs), Gary Albertyn & Lizette Owen (50-59 yrs) and Marcus Burri & Gail Wild (60 years and over) whilst trophies also went to the youngest swimmer on the morning, Kate Tinley (15 yrs) with oldest Rolf Kordes (79 yrs). 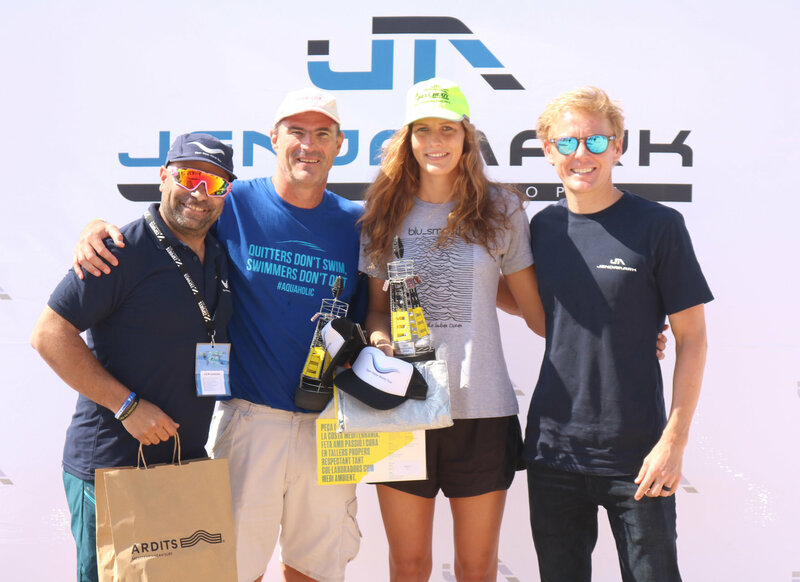 *Jendamark Bellbuoy Champions, Gary Albertyn and Amica de Jager flanked with Open Water World Tour co-founder Oscar Rabio and Jendamark ambassador Kyle Buckingham. 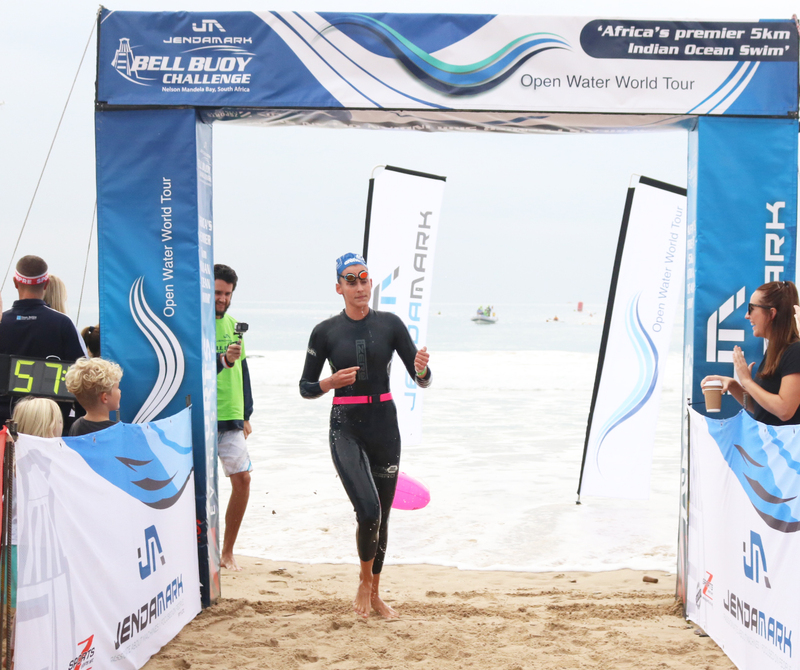 For more results from the event visit: http://www.zsports.co.za/bellbuoy with pictures from the event on their social media pages.